Know someone who’s thinking about starting a meditation practice in the New Year? Help them out on their journey toward wellness, inner peace and a calmer mind with this selection of mindful gifts that ease meditation. This ultra-calming crystal is known for its ability to calm and focus your mind during meditation. 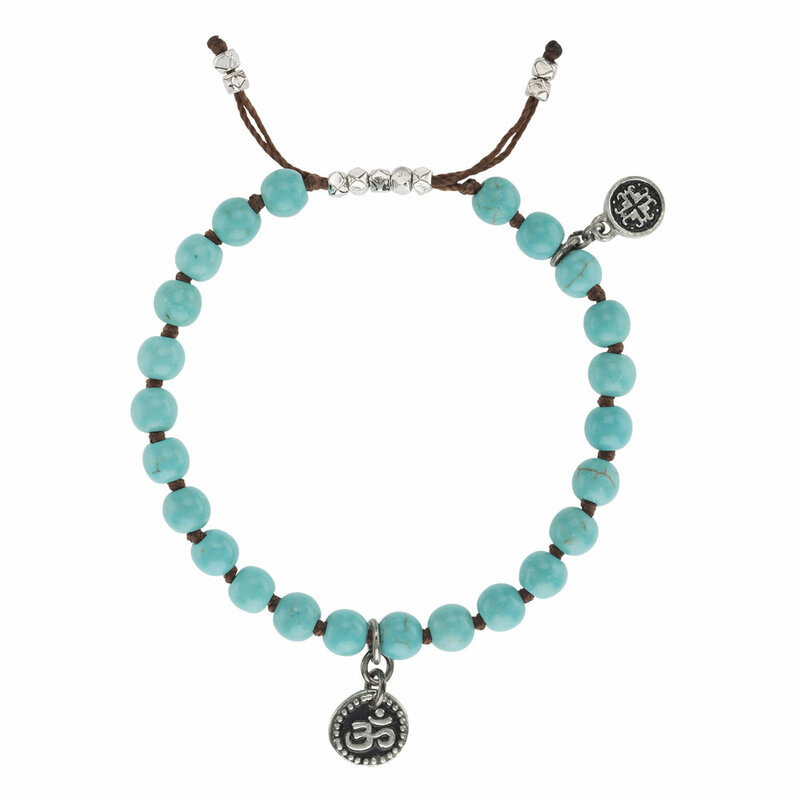 It’s also a stone of awareness that brings wisdom and enlightenment to its wearer. 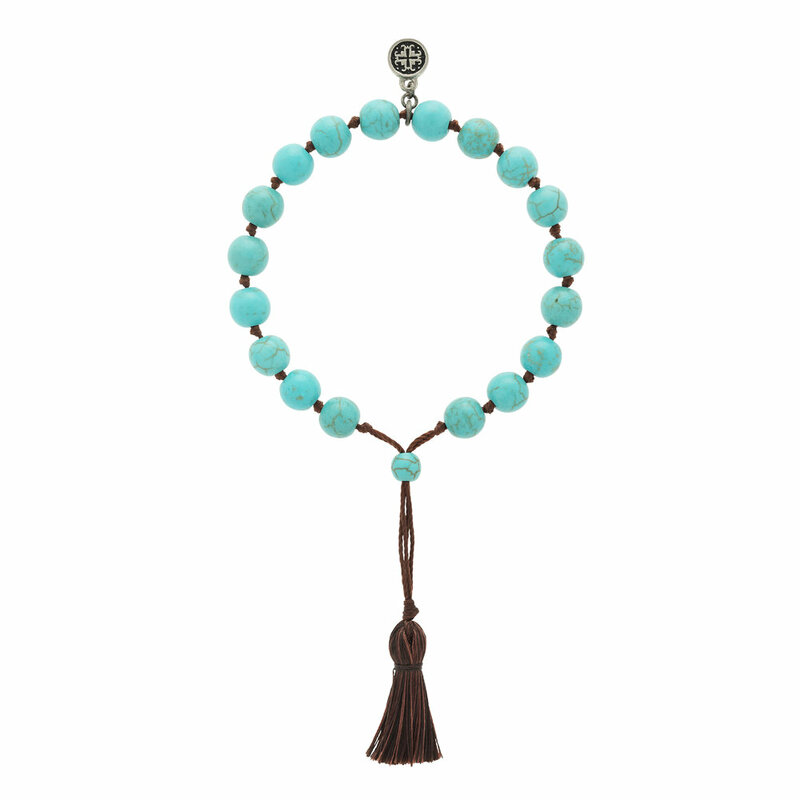 Howlite Turquoise removes distracting thoughts from your mind, while also helping you let go of unhealthy attachments and emotional wounds. This kit is kind of like Meditation 101 in a box, featuring everything you need to get started with a meditation practice. 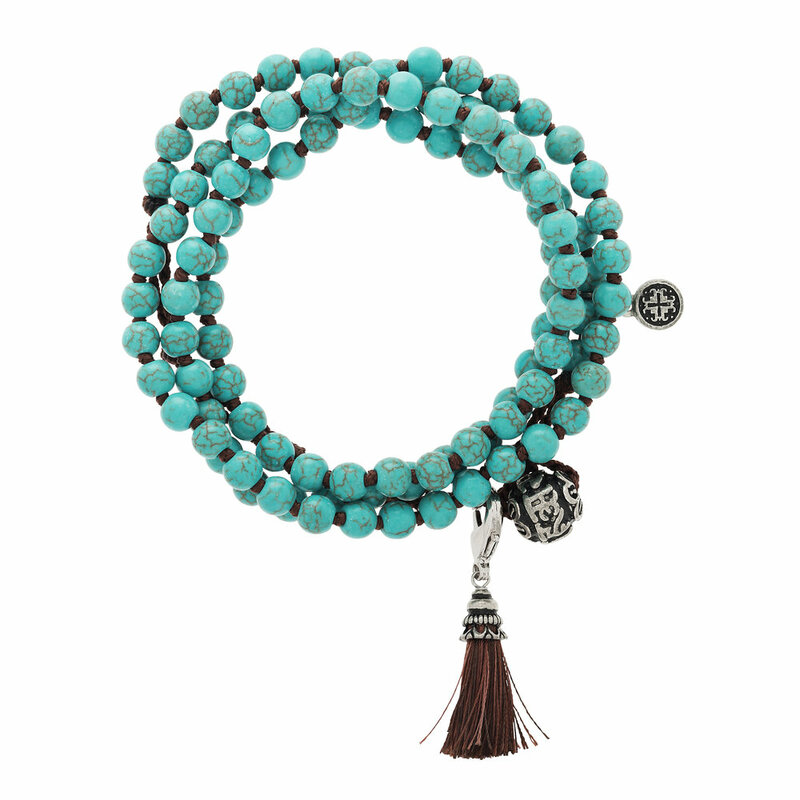 Each kit includes a 108-bead Meditate mala necklace, an essential oil coconut wax candle from Pure Plant Home, Frankincense essential oil from Body Bliss, an assorted crystal, a mini Buddha incense holder, and a guided meditation from Chopra Center Master Educator Micole Noble. 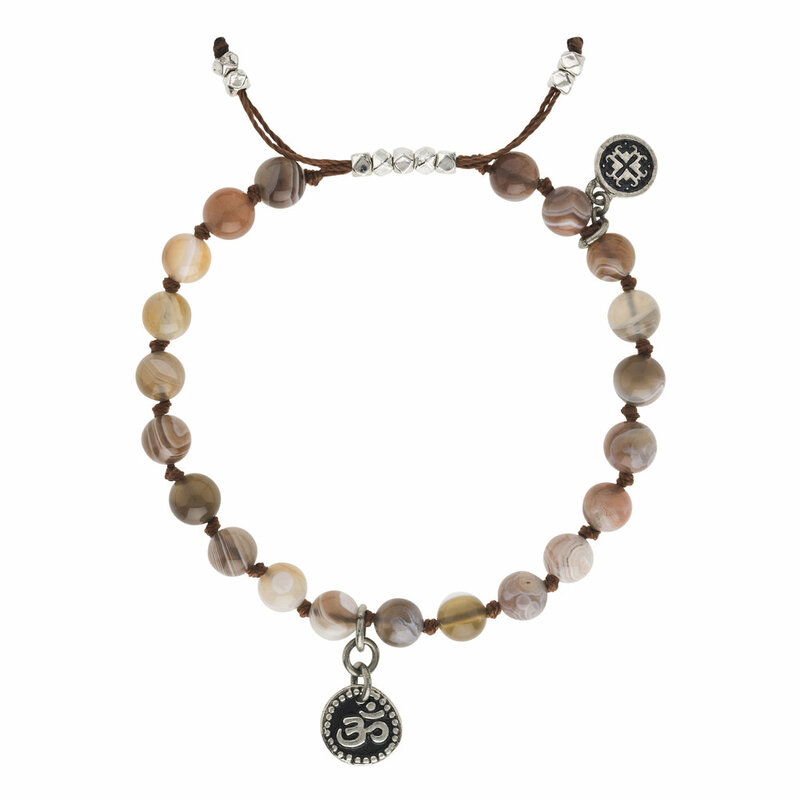 This highly spiritual stone stills the mind, provides a sense of serenity and eases you into a meditation state. It also helps you remain clear and centered—both during and after your meditation practice—while enhancing wisdom + understanding and balancing your emotions. Amethyst is traditionally associated with the Crown Chakra, representing consciousness and bringing you a greater sense of enlightenment, mindfulness and spirituality. This centering stone is known for its ability to ease meditation, provide a sense of calm, and balance your emotional and physical energy. When not using it for meditation, Botswana Agate is also a strengthening crystal that gives you a strong sense of security, while opening your heart up to hope and authenticity. For the most special loved ones on your list, Aquamarine is the perfect gemstone for helping you develop and maintain a meditation practice. This calming stone helps you reach a higher state of consciousness, and has a soothing and relaxing effect similar to that of water. 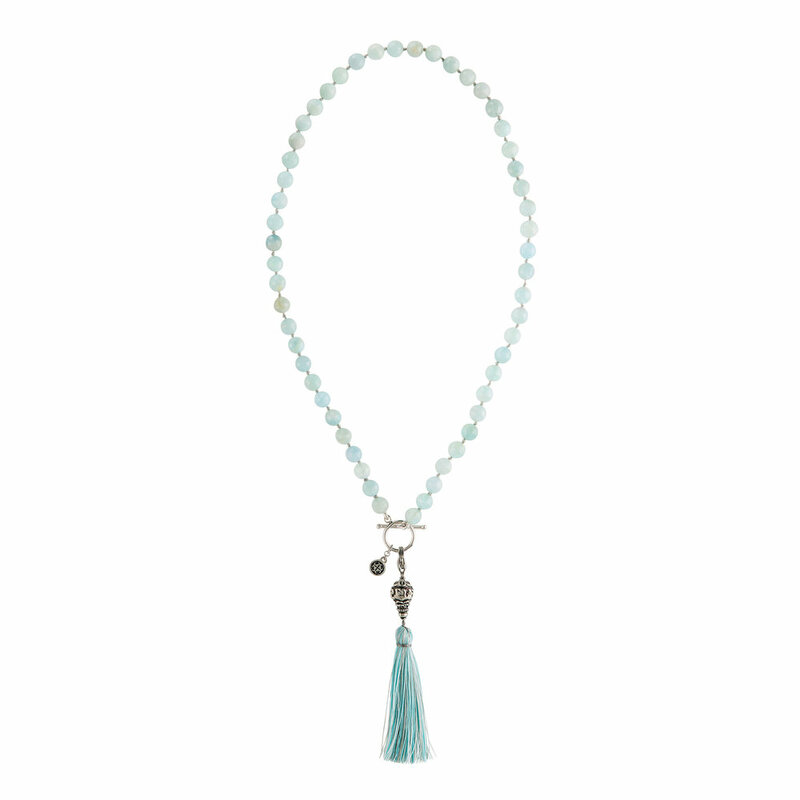 As a reflective stone—with its color resembling the sea’s reflection of the sky—Aquamarine is a wonderful tool for meditation and revelation, unveiling parts of your soul and mind that you’ve never discovered before. 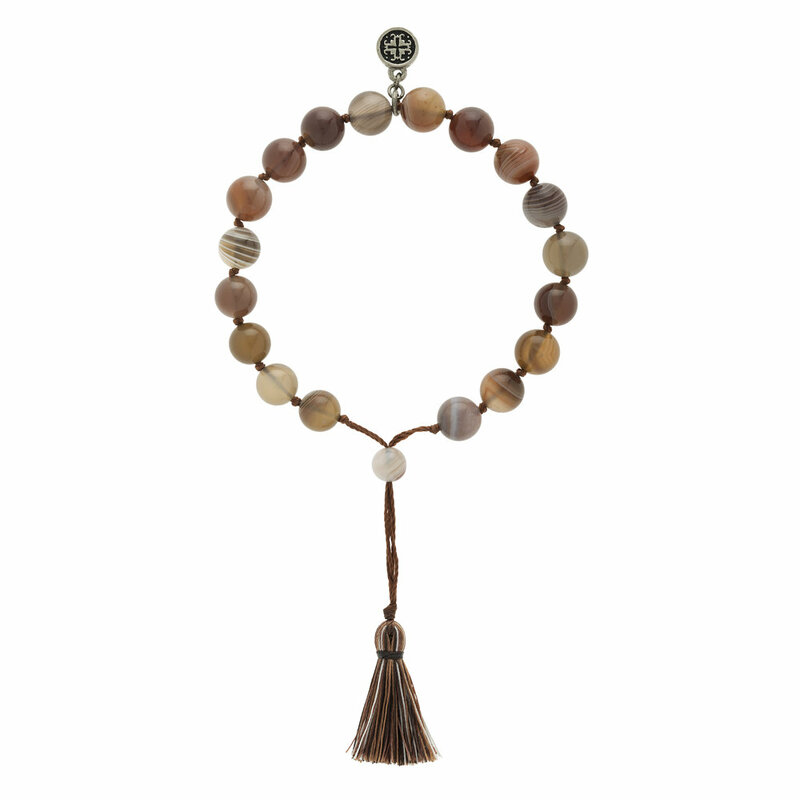 As a healing stone, it also helps provide you with greater courage and clarity, and encourages you to approach others with a sense of compassion. Not only is it a powerful crystal, but Aquamarine is also incredibly beautiful. 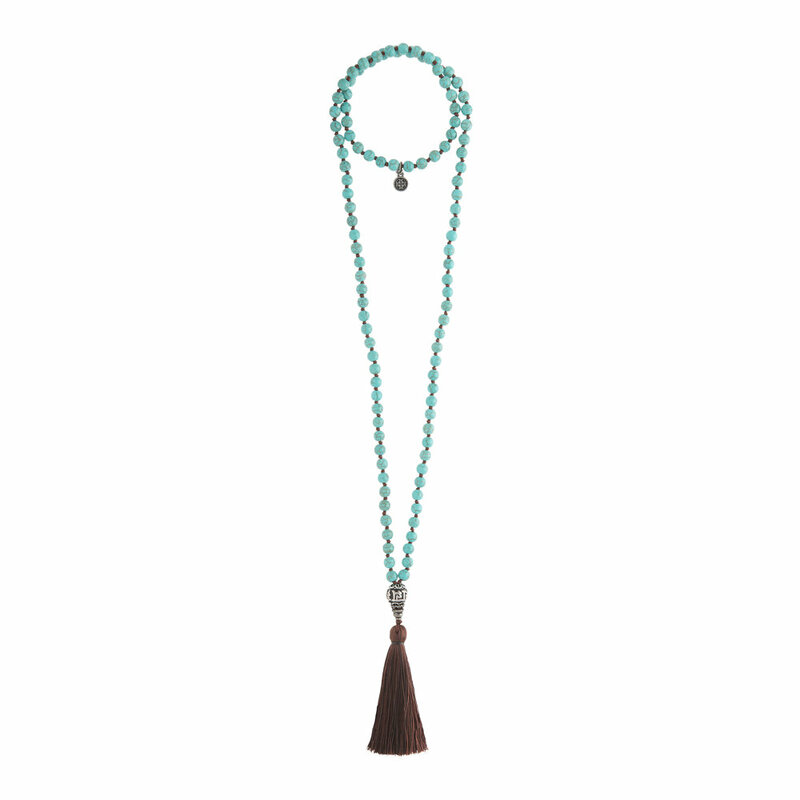 Our Aquamarine beads are all-natural, semi-precious and faceted for a little extra sparkle, and these pieces are crafted with elevated design details like toggle closures and detachable tassels.